34 3rd St, Mazomanie, WI.| MLS# 1849398 | John Reuter Realtor/Broker/Owner of The Reuter Team. Wisconsin Homes for Heroes Realtor. Proud to be the Top Homes for Heroes Realtors in Wisconsin and One the Top Homes for Heroes Realtors in the United States. 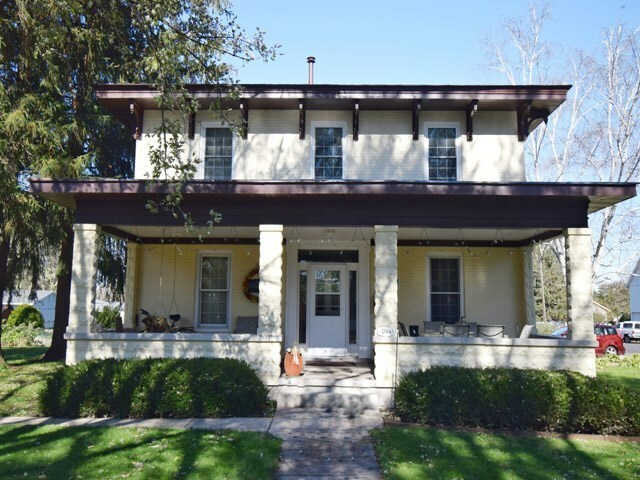 The Mazomanie Historical Homes Book will confirm the elegance of this beautiful Italianate style home. A welcoming front porch will draw you to this home set on a large double lot w/mature trees. Currently used as a two flat with both units in excellent condition. Maintenance on the property has been meticulous. Updates over recent years have included windows, electrical panel, & flooring. Roof, 2017. Opening the door to stairway & changing the kitchen area will transform home to a SF home. Located in a wonderful neighborhood in Mazomanie close to the school, downtown area, pool, & splash pad. Directions: Hwy 14 To Mazomanie, North On County Road Y, Left On Third St.